In India, the food-grain like rice and wheat and other pulses are consumed by the people from the market and from the Public Distribution System (PDS) shops. It is produced largely with chemical fertilizers and pesticides; hybrid and genetically modified seeds; high energy-intensive food processing and fossil fuel consuming transportation. 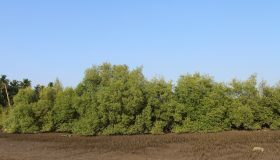 Mangroves ecosystem is considered to be one of the most biodiversity rich ecosystems on the earth. Mangroves are found in Tropical and sub-tropical inter-tidal regions of the world. Mangroves are referred as halophytic, that means salt tolerant species. It provides a wide range of ecological and economical services. 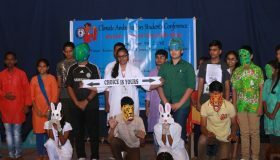 In Project Climate Ambassadors Mumbai- Stockholm 2017 Srushtidnyan is conducting various programmes under Finger Millet Campaign. Millet cultivation and millet consumption is the answer to the climate change. 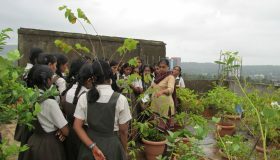 Stockholm is a unique project being implemented by Srushtidnyan in association with a Swedish organization called KlimatAktion. The foundation of Srushtidnyan is laid down by the activities conducted under the project Green Schools. 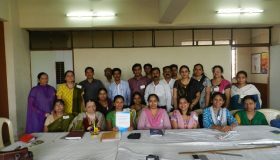 Certificate Course: Since 2005, Environmental Studies (EVS) became mandatory in school curriculum.